Reports that Dairy Crest’s chief executive will skim off a £1.2m bonus in a proposed takeover deal, while the workers are being offered a miserly pay rise was branded as ‘rank hypocrisy’ by Unite today (June 30). Company boss Mark Allen is said to be in line for the bonus, if a takeover deal of Dairy Crest’s milk business by German multinational Müller is given the green light by the competition and markets authority (CMA) in the near future. “Dairy Crest boss Mark Allen is the fat cat that got the cream,” said Unite national officer Matt Draper. Dairy Crest wants to sell off its loss-making milk business to Müller, best known for its yoghurt range, while keeping its profitable cheese and spreads. This proposed deal is now with the CMA, as if the takeover goes ahead, it will leave just two major players in milk production and distribution – Müller and Arla Foods. “We recognise the rationale behind the takeover and while we do have concerns in the short term about job losses, this is what the industry needs in the long-term, said Matt. “But what leaves a sour taste in the mouth is the £1.2m bonus for Mark Allen when the company is saying that it has no money for a decent pay rise. This is on top of his latest reported salary of £1.28m annually. 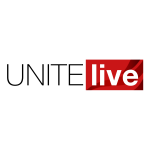 Unite said that further wage negotiations for 2015 are scheduled for Thursday July 30 – and it expects a better offer to be put on the table than the current one. Dairy Crest employs about 3,000 staff involved in milk production and delivery in the UK – 2,000 in milk production and delivery, and 1,000 in the cheese and spread business. Unite has about 1,500 members employed by the company. ← What if I’m not a participant?